Maui Ocean Breezes Eco Retreat - Sunrise and sunset walks on Holokai road...swimming in the salt water pool...yoga and meditation in the hut overlooking the ocean and the jungle below. Hale Akua Garden Farm and Eco Retreat - Hale Akua Garden Farm and Pali Uli Gardens are situated side-by-side on the slopes of Haleakala, Maui's dormant volcano, they overlook 30 miles of Hawaiian coastline. Lahaina Animal Farm - Maui living at its finest! Our property offers a custom 3 br AgroBnB as a luxury vacation rental. Encompassing 6 unspoiled ocean view acres, our vacation rental an infinity pool with privacy. 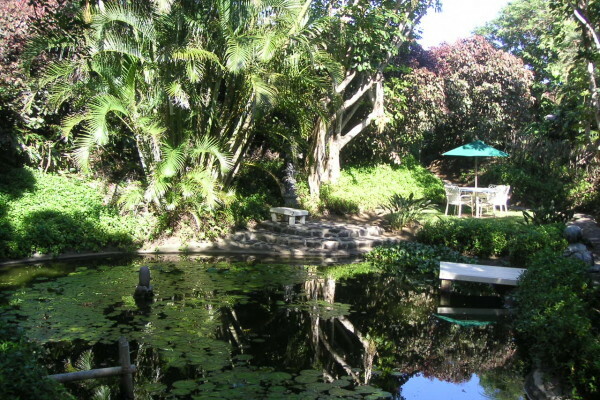 Haiku Plantation Inn - It is here at Haiku Plantation Inn, Maui's original B&B, that we invite you to journey back to the yesteryear of 'old'Hawaii. This gracious plantation home retains its original character.